Brooke’s address on the Ecstasy Factor in acts of research, for the Undergraduate Research Conference, NYU College of Arts and Science, April 2017. A Commencement address (December 2006) to undergraduates in the College of Arts and Science at NYU. Brooke in a 2007 address on Cherry-picking Other People’s Work. Bedford + Bowery, the NYU Journalism site in collaboration with New York Magazine that succeeded The Local East Village. Brooke was the supervising founder of both. 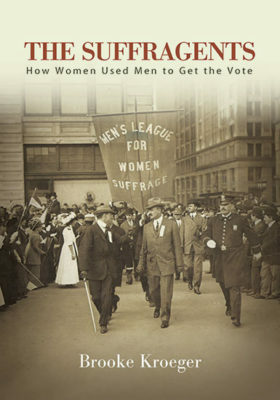 Don’t miss Women’s Suffrage and the Media, a new website and database created in support of American Journalism’s planned special issue on Suffrage and the Media for April 2019. Brooke leads this project with a great group of journalism and communications historians. The entire book in PDFs, is available to subscribers via Project Muse. WNYC’s On the Media did a very well updated version of a 2008 segment, titled, “Cover-Ups” that does a fine look at the undercover reporting genre, touching on all its latter day hits and misses. The Schuster Institute’s page on Undercover Reporting and the database. Many of the articles and essays gathered here are reflections by other writers on the phenomenon of passing, sparked by the book’s publication, which happened to coincide with the film release of The Human Stain. Another entry on Fannie Hurst is in the Encyclopedia of American Women’s History, edited by Hasia Diner, but not yet online. Fannie Hurst entries in the International Movie Data Base. Bly’s only novel The Mystery of Central Park is available as part of this e-book collection of all four of her works.